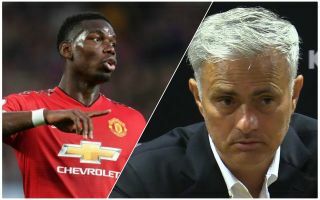 Paul Pogba is only in the Manchester United team at the moment to maintain his transfer value, according to former Liverpool star and pundit Graeme Souness. The France international has not had the best of times in a United shirt, and in truth looks a poor fit under current Red Devils manager Jose Mourinho. CaughtOffside understands Zinedine Zidane has been in touch with Pogba and with fellow Frenchman Anthony Martial about replacing Mourinho, though it remains to be seen how soon this could come about. Paul Pogba to Barcelona transfer on the cards? Meanwhile, rumours continue to surface about Pogba’s future, with the 25-year-old being strongly linked with a big move this January due to the cup-tied rule in the Champions League no longer being in place. As seen in the picture below, the print edition of Italian paper Tuttosport have linked Pogba with a transfer back to Juventus, while Don Balon suggest Barcelona looks a likely destination this winter as both the club and the player want that move to happen. Now, writing in the Times, Souness believes Pogba’s continued inclusion in Jose Mourinho’s side is simply to ensure the club have a smoother time of selling him at the next opportunity. It’s clear Pogba’s value would go down if he weren’t in the side, but Souness does not believe he merits a place on recent form. ‘Pogba plays for himself, it’s all about how cool he looks, showing us how clever he is,’ the Scot said. ‘Tottenham’s midfielders, Christian Eriksen and Mousa Dembele, were different gravy — players who keep the ball and move it quickly. ‘I reckon Pogba’s only in the team to maintain his transfer value until United can sell him, because he doesn’t merit his place for any other reason.